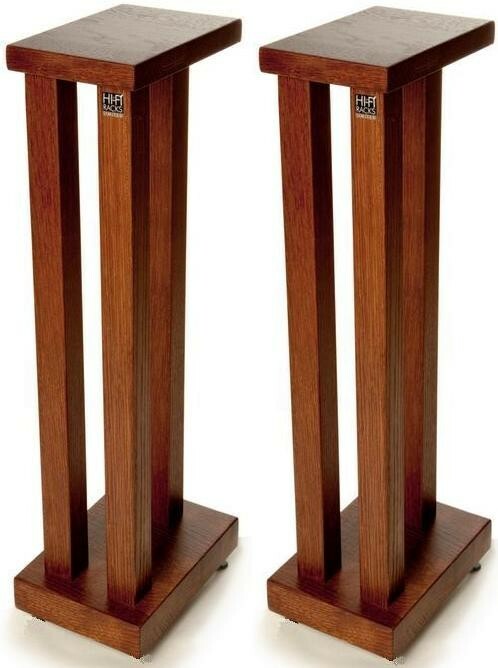 These stylish "Slimline" speaker stands from Hi-Fi Racks are 600mm high (we also sell the 500mm version and 700mm version) and come in a choice of wood finishes, either Natural (oak) or a choice of 4 premium finishes - Black, Cherry, Mahogany or Walnut. 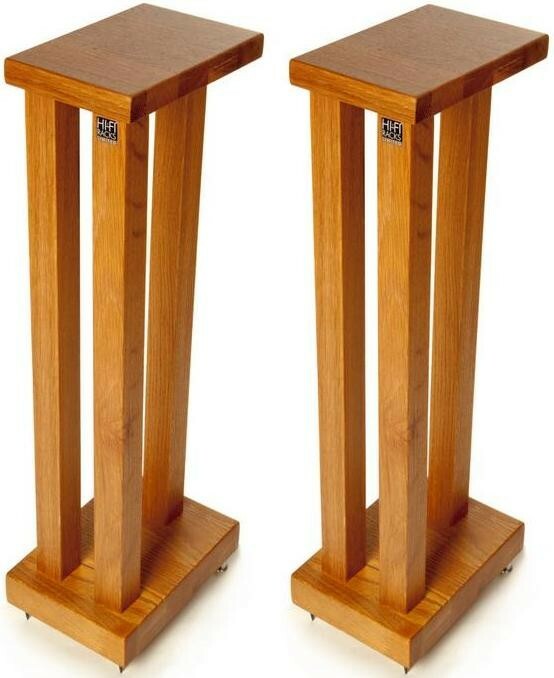 Earn 162 loyalty points when you order this item. 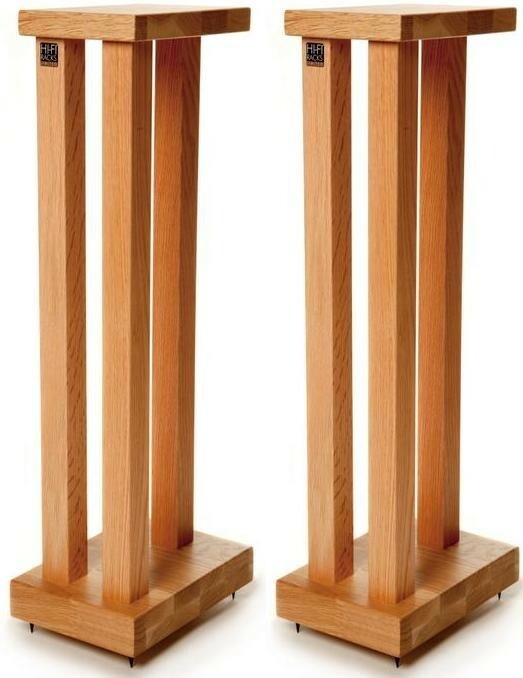 The Hi-Fi Racks 600mm Slimline Speaker Stands are a simple and classic design, and the ideal way to support your bookshelf speakers. 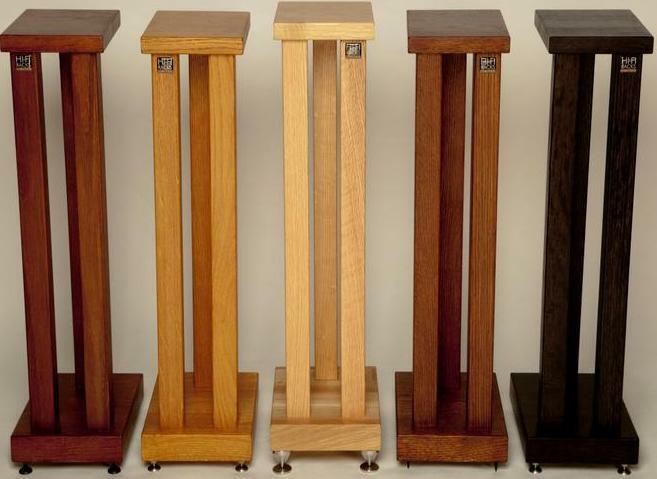 The Slimline Speaker Stands are hand-made to Hi-Fi Racks customary high standards from solid oak, and available in five finishes. 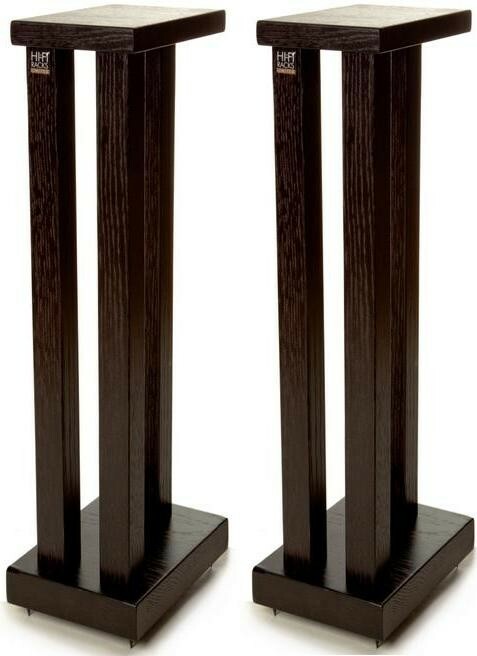 Like the rest of Hi-Fi Racks' stunning range, the Slimline speaker stands are built to stringent specifications from solid oak, which has been chosen for its superior aesthetic and acoustic properties. 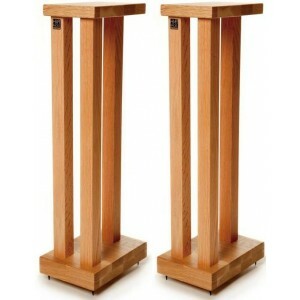 The Hi-Fi Racks Slimline Speaker Stands include floor spikes as standard for isolation and decoupling purposes. 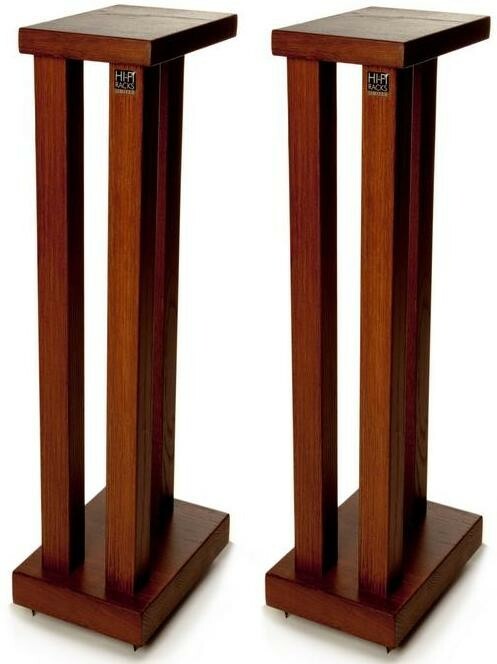 Despite the elegant and slimline design of these stands, and the rest of the Slimline range, they are extremely solid and can accomodate speakers up to 100kg in weight.